Gil Scott-Heron. Image from Electronic Village. I’m listening right now, as I write, to the half-dozen of his songs that stick the hardest to my memory, and there is a certain irony in the word that comes to me when I hear them: Scott-Heron’s music is elegiac. But really, I think it was the chasm that divides what is from what could be, because Gil Scott-Heron was one of those artists who could see both so clearly, heart breaking the whole time, and make something beautiful out of the heartbreak. Scott-Heron’s intellect and insight shone like beacons, beginning with his first recordings. His life story suggests that his promise was seen early on: a teacher at DeWitt Clinton High School in the Bronx used Scott-Heron’s writing to help obtain a full scholarship to The Ethical Culture Fieldston School, a politically and educationally progressive institution founded in 1878 -- where Scott-Heron was nevertheless one of five African American students out of 100 in his class. Tons of high achievers in the arts and academia attended Fieldston, from photographer Diane Arbus to Sixties activist Staughton Lynd to poet Muriel Rukeyser, composer Stephen Sondheim, and Hollywood mogul Jeffrey Katzenberg. He was a prodigy: by his early twenties, Scott-Heron had already published several books and made several albums. In “The Bottle,” from the same album, carried along on an equally lyrical and lovely tune, the artist speaks directly of the plague of addiction that shaped much of his life and the lives of so many others. The 1977 recording included “We Almost Lost Detroit,” Bridges about an early nuclear power accident, and was revived as part of the 1979 No Nukes Concert album. Through the Reagan years and beyond, Scott-Heron kept recording (often other writers’ songs), but the bulk of albums released during the 90s were anthologies and collections of prior recordings. He spiraled into addiction, was jailed twice in his fifties for cocaine possession, and according to profiles in The New Yorker and other publications, he was still smoking crack, half out of his mind with drug-induced paranoia, in recent months. Photographs from the last decade show a skeletal figure, and we know from published accounts that he’d lost his teeth, his composure, and his health to addiction. Or as someone who was really that hard to understand. To do whatever they could to try and shoot me down. This is where the temptation rises to say something facile about the cruelty of the world and the toll it takes on those whose hearts and eyes are open and who hold their heads high. It’s not that it wouldn’t be true, but it wouldn’t be the only truth, or even the one most worth repeating. The confounding thing about human beings is that -- given talent, heart, eyes to see both the beauty and suffering of the world, even those given circumstances that may differ very little, each from the other -- some people prosper and some succumb. Along with the many mysteries of human resilience that station each of us in an appointed place on the spectrum of joy and pain, endurance and embrace, we have this: the artists whose great gifts for beauty and meaning add immeasurably to the texture of life, to our ability to feel it, and whose gifts cannot save them from self-destruction. 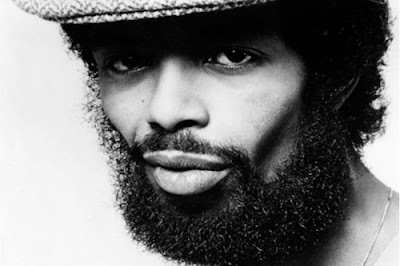 So I will just offer thanks for Gil Scott-Heron’s life and work, for his unparalleled ability to braid lovely and sinuous music with knife-sharp lyrics, for his legacy, and for the perseverance that kept him creating, against the odds, for 62 years. Here is Scott-Heron’s truly harrowing version of Robert Johnson’s song (written in the mid-1930s), “Me and The Devil,” from the album he released last year, I’m Still Here.